Nails should not be penetrating the flashing around and windows or sun tunnels as it will cause leaks. This watchdog roofing project was completed by a cowboy roofing firm who caused more damage than good on one of our clients roofs. 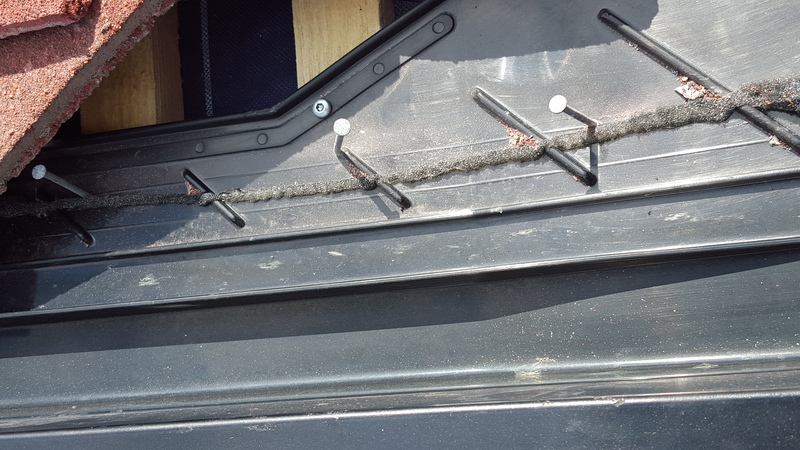 The roofing company should not of used nails that go through the actual flashing itself because this can cause problems, such as leaks, internal damp, mould, etc. As a result, this can cause potential re-roofing and roof repair services in the future that would of been completely unnecessary if installed correctly. If you have unfortunately suffered the consequences of a ‘cowboy roofer’ or have a feeling that your recent roofing work isn’t right then please contact us and we will be happy to help.